Discussion in 'Offers, Promotions & Discounts' started by JK2447, Nov 16, 2017. 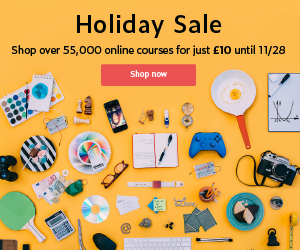 Another great deal from Udemy not to be missed. simongrahamuk and Jaron78 like this. Nice one Jim. There are some excellent courses on Udemy. They have sales weekly makes them not as special.